When it comes to making sure that your garage door is able to open and close as safely as possible, you need help from the top garage door repair company in Flower Mound. 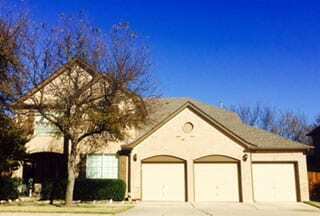 Action Garage Door has offered dependable repair services to customers in the area since 1984. Over the years, our combination of affordable prices and outstanding service has earned us a reputation of being the most dependable garage door repair company in town. We have parts available for all makes and models of garage doors, as well as a team of trained and experienced garage door technicians to handle repairs with ease. Get in touch with Action Garage Door, and we’ll provide you with a cost estimate for your repairs. At Action Garage Door, we understand you have many needs when it comes to garage door service. For this reason, our garage door service goes way beyond simple repairs. If your opener needs to be repaired or replaced, you have a door that needs to be maintained or your company needs a new garage door installed, we do this and much, much more. No two home or business owners are alike, and our garage door repair company understands that no two will want the exact same garage doors and set up. At Action Garage Door, we offer a variety of garage doors for installation in Flower Mound homes and offices. Some of our options include Carriage House garage doors, Olympus garage doors, Classica garage doors, and Amarr overhead doors. Garage doors go through a significant amount of wear and tear over the years, which can affect their safety. When you need a brand new garage door for your Flower Mound home or business, you can depend on the experts at Action Garage Door to help. From Oak Summit garage doors to Designer Choice and Heritage garage doors, we have an incredible selection to choose from. You can rely on our team of professional technicians to install your new garage door so that it functions as smoothly as possible. Contact us for more information on our competitive prices and to set up a free in-home estimate. Flower Mound is an idyllic suburban community and incorporated town that is located in both the Tarrant and Denton counties. 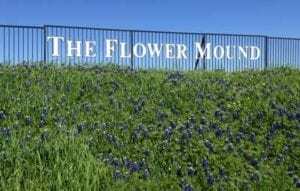 A bedroom community of Dallas and Fort Worth, Flower Mound gains its name from the 12.5 acre flower-filled property at the very center of the town. An ideal place for young families, families with children, and senior citizens alike, Flower Mound is constructed of many new developments and gorgeous suburban homes. Flower Mound has been growing significantly since the 1970s, and new homes are developed every year. With an emphasis on “smart growth” and urban planning, Flower Mound has been able to maintain a gorgeous system of parks and recreation, beautiful trails, a solid transportation system, and an excellent education system for children and college students alike. Flower Mound sits in the northern part of the Mid-Cities area between Dallas and Fort Worth just above Grapevine Lake. The town is 28 miles northwest of Dallas and 32 miles northeast of Fort Worth. The town’s population of 64,699 makes it the largest town in the state. Flower Mound has an average household income of $121,549 and an average income per capita of $45,981. Some of the town’s biggest employers include Lewisville Independent School District, Texas Health Presbyterian Hospital, Communication Test Design Inc and Stryker Communications. The cost of living in Flower Mound is higher than the U.S. average, although good schools and low crime rates make up for this. Average home prices in town are $269,800, which is considerably higher than the U.S. average of $175,500 and the Texas average of $131,400. Flower Mound offers several reasons that make it a great town to settle in. Its close proximity to Fort Worth, Dallas and DFW Airport provides residents with a lot of convenience, while the town’s amenities and community events make it easy to get to know fellow residents. Flower Mound holds a number of events during the year, including Movies in the Park, Easter Egg Scramble, Summer Fun Showcase, Truck Rodeo and Christmas Parade and Tree Lighting Ceremony. There are also several opportunities for residents to pitch in and help the community by volunteering at the library, parks and recreation, animal shelter and other local facilities. Residents can also sign up for the Citizen Emergency Response Team to help out even more. Flower Mound offers visitors several amenities and attractions to check out while they’re in town. From nature trails to cultural arts, visitors can find many ways to spend their time in Flower Mound. Those who like to stay outside as often as possible while they’re on vacation can take advantage of the town’s many parks and trails for outdoor recreation. Spring Lake Park offers more than just green space for visitors from out of town. The park also has a fishing pond and a multi-use trail to explore. Heritage Park of Flower Mound has a beautiful fort wildflower playground, as well as picnic areas, a dog park, and trails. Flower Mound also provides a number of activities to do in or near the waters of Grapevine Lake, such as fishing and boating. Visitors who enjoy the arts and culture can make plans to attend a show at Our Productions Theatre Co., which serves Flower Mound, Lewisville, and Dallas. The theatrical company, based in Flower Mound, puts on Broadway musicals and plays and holds special events. Those who love hearing orchestras play live can go to a Flower Mound Community Orchestra concert. The orchestra performs several concerts throughout the year. Flower Mound has a number of restaurants available for dining along Long Prairie Road. While most of these are popular chains, there are some smaller, independently owned places as well. Visitors who are looking for a larger selection of dining establishments can easily find them in a neighboring town and nearby Dallas. 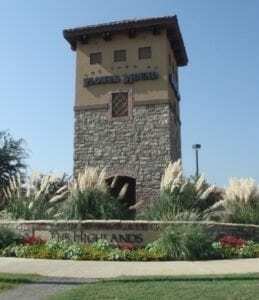 For shopping options, visitors can find plenty of places to shop at The Highlands of Flower Mound. 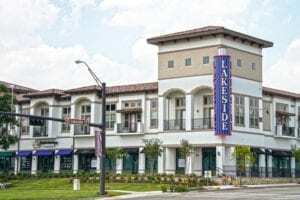 This shopping center features several well-known stores, as well as casual dining options. 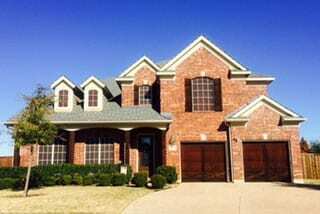 Why Choose Action Garage Door in Flower Mound? Updating and upgrading your gorgeous suburban home in Flower Mound, TX has never been easier than with the garage door repair and replacement services of Action Garage Door. Action Garage Door offers comprehensive garage door servicing, including regular maintenance checks, repairs and troubleshooting, and complete custom garage door replacements. Whether you’re trying to renew your family home before selling it or are renovating the exterior of your new home to suit your style, Action Garage Door has everything you need to get started. When you want the best in garage door repair and other services, you have to turn to the best. For years, we have been providing residents all over Flower Mound with the garage door service they need to have their garages in the best working order. As a garage door repair company that is committed to customer satisfaction, nobody beats Action Garage Door. Our family-owned business has been satisfying customers for 30 years and we are waiting to help you find the services you need for your garage door in Flower Mound. We offer durable products that withstand the elements and all our work is in total compliance with local regulations. To get started with your garage door repair, installation, or replacement, contact Action Garage Door in Flower Mound today and let’s talk about the options available from the garage door repair company that has been caring for customers since 1984. Arrived When Promised... Thank you! 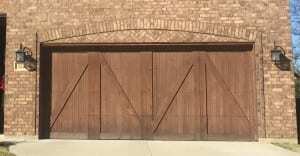 Fixed my garage door quickly. I paid top dollar, but got a top notch job as well. Great service, timelines, and friendly. Very thorough. Good preventative advice. Nice to have a garage door that works again. Outstanding service. Josh does excellent work. Good job for Josh. Very professional and reliable. Great service! Very friendly and helpful! Very happy. Arrived on time. Big smile on his face! Explained what needed to be done! Josh did an excellent job analyzing and fixing the problem.